Although Milwaukee’s Harbor District is surrounded by some of the densest neighborhoods in the city, the harbor itself has remained essentially inaccessibly to area residents. 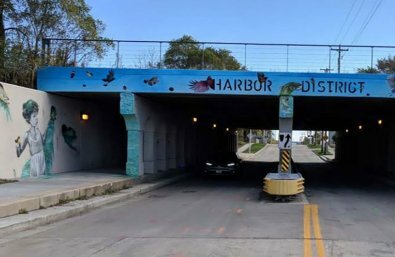 The Fund for Lake Michigan is therefore supporting Harbor District, Inc. and their project to work with residents and community organizations on the south side of Milwaukee to identify, design, and construct a new public access point to the Inner Harbor. Improving and increasing public access to the harbor will not only help remedy this lack of access to the harbor, but it will also build an appreciation for the harbor as a community resource.